Ryan Reynolds (Deadpool, X-Men Origins: Wolverine, Life) plays Michael Bryce, a AAA-rated executive bodyguard. This moniker alone is the first clue that much of this movie is tongue in cheek—part spoof, more drama, and mostly action. Bryce falls from grace when one of his high-profile clients, a billionaire Asian arms dealer, is assassinated on one of his very lucrative assignments. As a consequence, Bryce is relegated to the dregs of bodyguard gigs–protecting drug-addicted CEOs so they can testify against their suppliers. Samuel L. Jackson (Pulp Fiction, Django Unchained, Hateful Eight) plays Darius Kincaid, a notorious assassin with over one hundred kills to his credit, and an arch nemesis of Bryce. When Kincaid agrees to testify against Vladislav Dukhovich (Gary Oldman of the Harry Potter series, The Dark Knight Trilogy, The Darkest Hour), the blood-thirsty tyrant ruling Belarus, Bryce ends up being the only one Interpol agent Amelia Roussel (Elodie Yung from Gods of Egypt, The Girl With a Dragon Tattoo, District 13: Ultimatum) trusts to deliver Kincaid to the International Criminal Court in The Hague, Netherlands. Why or even how Roussel could commission Bryce for this job is never explained satisfactorily, but the relationship is important to the plot. Bryce and Roussel were a couple before his fall from grace, and the collapse of this relationship is an emotional and professional turning point for his character. Bryce will have to come to grips with his guilt and sense of failure over his relationship with Roussel as well as the death of his client before he can begin to regain his dignity. Delivering Kincaid becomes part of his quest for redemption. This tension between the former lovers almost obscures the more important decision by Kincaid, the supposedly psychopathic assassin, to testify against Dukhovich in exchange for immunity for his Latina wife, Sonia, played to entertaining excess by Salma Hayek (Grown Ups, How to Be a Latin Lover, Puss in Boots, Beatriz at Dinner). This paradox between his passionate love for Sonia and his cold-hearted approach to assassination becomes the fulcrum for Bryce and Kincaid’s unfolding relationship. The on-screen chemistry between Reynolds and Jackson, one of America’s most prolific and successful actors, is palpable and carries the movie. This relationship is central to the plot and for driving story since the movie is driven almost exclusively by the relationship between the buttoned-up, status-driven planner Bryce and the serious but “live in the moment” assassin Kincaid. The good/bad guy roles are not reversed, but they leave the audience wrestling with the question of who the good guy really is: The mainstream, conventional Bryce who protects evil people but tries not to kill anyone (including most of his attackers), or the assassin who only shoots patently evil people (e.g., Dukhovich) and the thugs they hire to carry out their plans. The Hitman’s Bodyguard is not just a film about relationships, however. What unfolds over the next two hours is a romp through the U.K. and the Netherlands as Bryce tries to deliver Kinkaid alive to The Hague. The action is highly stylized, but director Patrick Hughes (Red Hill, The Expendables 3) keeps the film surprisingly tongue and cheek despite the body count. This is a film that flirts with parody but doesn’t lose the seriousness of the central question which is about ethics and character. This mix of action, forward momentum, and character study is no easy feat, and credit also goes to screenwriter Tom O’Connor for keeping the character development and human relationships central to the story. The Hitman’s Bodyguard is not without flaws. Dukhovich’s machinations inside Interpol and the international court stretch plausibility, and the body count is high enough that audiences may have trouble suspending belief long-enough to stay engaged, even for a summer action film. The action sequences are often overdone for a serious drama, but squeak by as entertaining when viewed as parody (particularly during a motorboat chase scene in Amsterdam). Audiences have been kinder than critics to The Hitman’s Bodyguard who have delivered more than $125 million to the box office after three weeks in U.S. movie theaters. Critics generally have a more difficult time processing films that cross genres, and their preference for fresh and tightly drawn stories leaves more than a few opportunities to tear it apart. 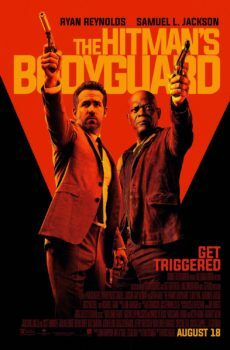 For those who enjoy the work of Reynolds, Jackson, Oldman, and Hayek, like extensive chase scenes in their action movies, and have a taste for parody, The Hitman’s Bodyguard should be an entertaining romp through the fall movie season.